Upper Canada College’s Board of Governors establishes and directs policy for the College and oversees its financial affairs. The Board includes 15 governors, eight of whom are appointed by the Board for four-year terms. Three are elected by the UCC Association for three-year terms and four are ex-officio members, under the Upper Canada College Act. The President of the UCC Foundation attends all meetings. The College’s Principal reports to the Board. Russell has served on the Board since 2010 and was appointed Chair in January 2016. He has served as Chair of both the Norval Long-Range Planning Committee and the Property Committee. He chaired the Principal Search Committee which selected Sam McKinney as the College’s 19th Principal. Prior to his appointment as Chair of the Board, he was a member of UCC's Association Council and was Chair of the Council of 1829. Russell is a Principal of MacPherson Builders Limited, a builder of low- and mid-rise subdivisions throughout southern Ontario. He is a graduate of Princeton University. Russell and his wife June have a son, Simon ’16. Lincoln has served on the Board since 2013 and is Vice-Chair. 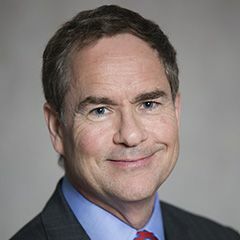 He chairs the Board’s Governance and Nominating Committee, and is also Chairman of the Board of Trustees of the Barrow Foundation, which provides scholarships to boys attending UCC. Prior to his Board appointment, he chaired the Joe Cressy Golf Tournament and served on the Boarding Task Force, the Governance Review Committee and the Long-Range Planning Committee. He received the Harold A. D. Roberts Award in 2012. Lincoln is a Senior Partner at Bennett Jones LLP in Toronto and specializes in complex cross-border financial crime disputes including asset-recovery litigation, investigations, enforcement actions in prominent, high-value financial frauds and complex litigation arising from international arbitrations. He has been recognized by Who’s Who Legal: Litigation 2017 as one of Canada's best litigation lawyers. He served a two-year term as a member of the Investor Advisory Panel to the Ontario Securities Commission. In 2012, he was presented with the Queen Elizabeth II Diamond Jubilee Medal for his contributions to Canada. Lincoln and wife Melissa have two sons, Jack ’14 and Sam ’16, and a daughter, Eliza. Nina was appointed to the Board in 2017. She is Chief of Operations and External Relations for the Canadian practice of The Boston Consulting Group (BCG), a global management consulting firm. She has more than 20 years of experience at BCG, with a unique career path that spans both client service and leadership of global and national practices. Prior to joining BCG, Nina worked in product management for Kraft Foods Canada. Nina holds a Bachelor of Commerce from McGill University and an MBA from the Ivey Business School at Western University. She has has two sons, Jackson ’18 and Troy ’20. Todd was appointed to the Board by the Association Council in 2014 and is a member of the Finance and Audit Committee. He has also served as Chair of the HR Committee. 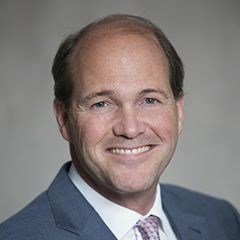 Prior to his Board appointment, he served as Chair of the Parents Annual Giving Committee for the UCC Fund and as a member of the Advancement Committee. Todd is the Executive Managing Director and Head of the Securities Finance and Funding group at Toronto Dominion Securities. 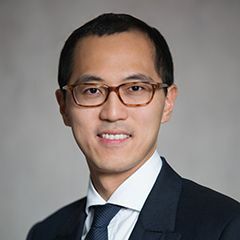 He is a Chartered Professional Accountant and a Chartered Financial Analyst, and holds a Bachelor of Commerce degree from the University of Saskatchewan and a MBA from the Ivey Business School at Western University. Todd and his wife Sarah have a son, Adam ’20, and two daughters, Tess and Laine. Blake was appointed to the Board by the Association Council in 2016 and is the incoming Chair of the Advancement Committee. He has had many senior volunteer roles at UCC including Trustee on the Foundation Board and Co-Chair of the Think Ahead Boarding Cabinet. He also served on the Think Ahead Campaign Cabinet. Blake is the President and Chief Pension Officer at the Ontario Municipal Employees Retirement System. 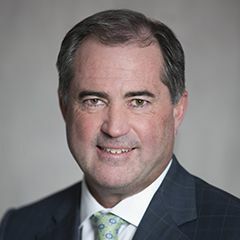 His mandate includes leading OMERS pension business, strategy, communications and public affairs, legal affairs, technology and operations, in addition to asset liability management. He holds a Bachelor of Arts in Political Science from Western University, a Graduate Diploma in International Relations and Comparative Politics from the London School of Economics and a Master’s in Real Estate Development from Columbia University. Blake and his wife Susan have a son, Trevor ’17. Karen was appointed to the Board in 2018. Karen’s legal and executive career spans more than 30 years and includes ten years practising law at Goodman and Carr and senior roles at Cineplex Odeon Corporation, Irwin Toy, Spin Master Ltd. and St. Joseph Communications. 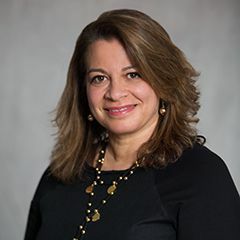 In 2010, she was appointed General Counsel and Corporate Secretary for the Toronto 2015 Pan/Parapan American Games Organizing Committee and in 2014 added responsibility for human resources, volunteer recruitment and workforce planning to her portfolio. She served as an interim Chief Operating Officer at U Sport, formerly Canadian Interuniversity, in 2016. Karen now dedicates her time and expertise in the areas of law, governance and sport to a number of not-for-profit boards. Karen and her husband Irv have a daughter, Robin, and two sons, Sean ’11 and Mattie ’13. Loewe has served on the Board since 2015 and sits on UCC’s Asia Advisory Council and the Advancement Committee. He is Managing Director of National Electronics Holdings Limited and its various subsidiaries, including National Properties Holdings Limited, one of the leading luxury developers in Hong Kong and Toronto. Loewe previously worked as an investment banker at JP Morgan in New York. He graduated from Harvard University and sits on the boards of various trade and non-profit organizations in Hong Kong. Loewe and his wife Emily have three children, Emma, Oscar and Willow. Charlie was appointed to the Board by the Association Council in 2015 and chairs the Board’s Finance and Audit Committee. He was a member of the Advancement Committee, Trustee on the UCC Foundation Board from 2005-2014 and a member of UCC’s Foundation’s Audit and Finance Committee from 2006-2014, serving as Chair from 2010-2014. Charlie is President and Chief Executive Officer of Cumberland Partners Limited and Cumberland Private Wealth Management Inc. Prior to this, he served as Chairman, President and CEO of Mackenzie Financial Corporation and Co-President and CEO of IGM Financial, Inc. He has been a director of various private companies since 1992 and served on the Board of IGM Financial, Inc. from 2005-2013. 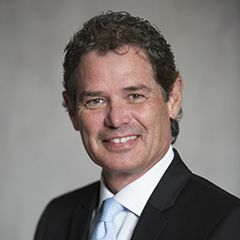 In 2009, Charlie joined the Board of Directors of Holland Bloorview Kids Rehabilitation Hospital Foundation, where he is currently Chair of their investment Committee. He is also Chairman of the V-42 Foundation. Appointed to the Board in 2014, Catherine chairs its Senior Management Review Committee. 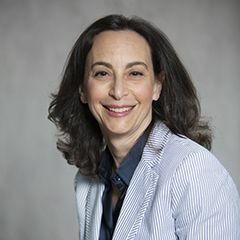 She is the President and Chief Executive Officer of the Centre for Addiction and Mental Health, a Professor in the University of Toronto’s Faculty of Medicine and a Fellow of the Royal College of Physicians and Surgeons of Canada. 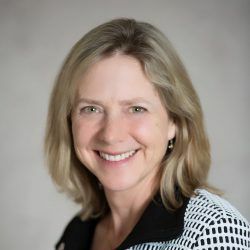 In addition, she is a Fellow and former board member of the American Academy of Neurology, and has made numerous contributions to health care in Ontario through her leadership in hospital integration, technology assessment, chronic disease management, stroke-care coordination and mental health care system improvement. She received her MD (honours) from the Faculty of Medicine at the University of Toronto where she completed her residency training in neurology. She holds an MSc in health administration from the University of Toronto and has completed the Directors’ Education Program at the Rotman School of Management. Recent honours include membership in the Order of Canada, Doctor of Laws degrees (honoris causa) from Western University and Ryerson University, and the Bryden Award for Outstanding Achievement from York University. 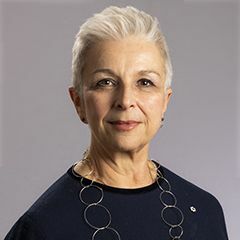 She was awarded the University of Toronto Faculty of Health Policy Management and Evaluation Prize for Innovation, and has been named Communicator of the Year by the International Association of Business Communicators. Catherine and her husband Jeffrey have two sons, Michael ’01 and William ’09. Joannah Lawson had a successful career in organization change management in the high tech industry before becoming a nutrition consultant. As co-founder and president of her family foundation, Joannah has a mission to promote physical and mental health through an environmentally sustainable food system. A key recipient of the foundation’s philanthropic focus is the Joannah and Brian Lawson Centre for Child Nutrition in the University of Toronto’s Faculty of Medicine. She has served as Co-Chair of the Campaign Cabinet at the University of Toronto’s Faculty of Medicine and the Boundless Campaign Executive. Joannah has chaired nutrition committees at both the Prep and Upper Schools over a nine-year period and has served on Association Council since 2016. Matt was appointed President of UCC’s Association Council in 2018. He works in the financial services industry in Toronto. He graduated from Osgoode School of Law and the Schulich School of Business in 2005. Prior to that he completed a BA in history from Cornell University. Matt is active in the community, serving on the Board of LOFT Community Services and Opera on the Avalon among others. He is married to Raili and they have three young children, Elizabeth, Michael and Billy.